Sight Words with Dr. Seuss! Spring is just around the corner and now is the perfect time to learn all about the honey bee! 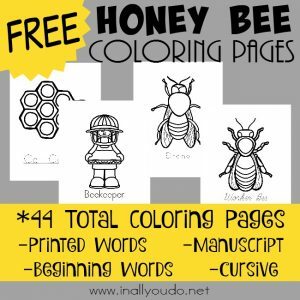 Grab these FREE Coloring Pages!